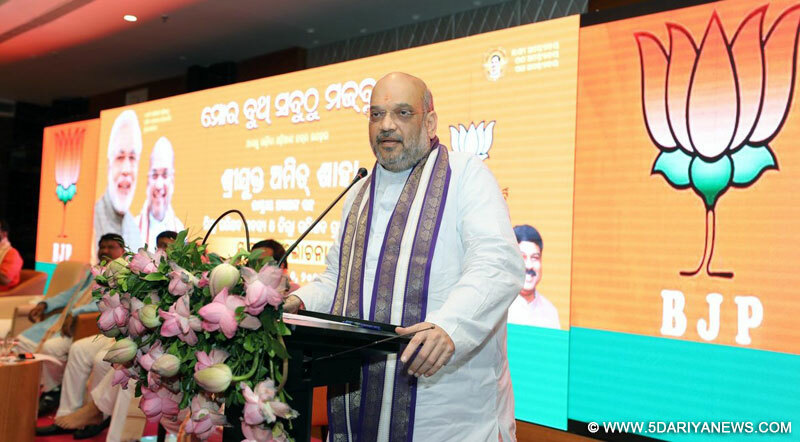 BJP President Amit Shah on Thursday exhorted his party leaders and workers to ensure the party's victory in the 2019 assembly elections in Odisha.Shah addressed party members here and told them not to rest till the Bharatiya Janata Party captured political power in the eastern state. "I have travelled to various places in Odisha. It was not like an aerial visit by (Chief Minister) Naveen Patnaik. I sensed the mood of Odisha's people in favour of BJP by travelling more than 400 km by road in three days," Shah said. "There will be no development in the state till the BJD is in power. We should work to uproot the BJD government and bring the BJP to power." Union Petroleum Minister Dharmendra Pradhan said the BJP President presented a road map for ousting the BJD government in the 2019 polls. "He presented an elaborate road map on this and assigned specific roles and responsibility to each and every karyakarta (worker)," tweeted Pradhan.On the last day of his three-visit tour of Odisha, Shah visited Basantpur village in Ekamra assembly constituency on the state capital's outskirts where he was given a traditional welcome.Shah earlier visited Ganjam district, the home turf of Naveen Patnaik, and Jajpur district.